drinking beer and eating Vienna sausages. Holy mackerel, who cares? is that a bagel? Oh! All Rehab - Rehab Function lyrics are property and © copyright of their respective owners. 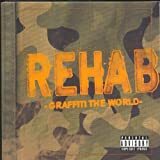 All Rehab Function lyrics provided for educational purposes only.